After spending nearly a month in Australia, we left Perth and headed to Bali to begin a two-month trip through Indonesia. Though Australia was on the other side of the Pacific Ocean from California, it sometimes felt like we had never left the U.S. since everyone spoke English and the cities had a similar feel to San Francisco. The only difference was that they spoke with a funny accent. As we disembarked from the airplane, we felt like our trip had just begun. We didn’t quite know what to expect of Bali. Beaches and “Eat, Pray, Love” were all that we knew about the island, but we had been told by several people we knew before we left that it was their favorite place so we were very excited to finally arrive. 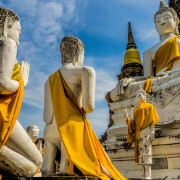 As we exited the plane and stepped on the tarmac, feeling the warm tropical air hit us, we both smiled knowing that we had finally reached Southeast Asia and a new adventure awaited us. 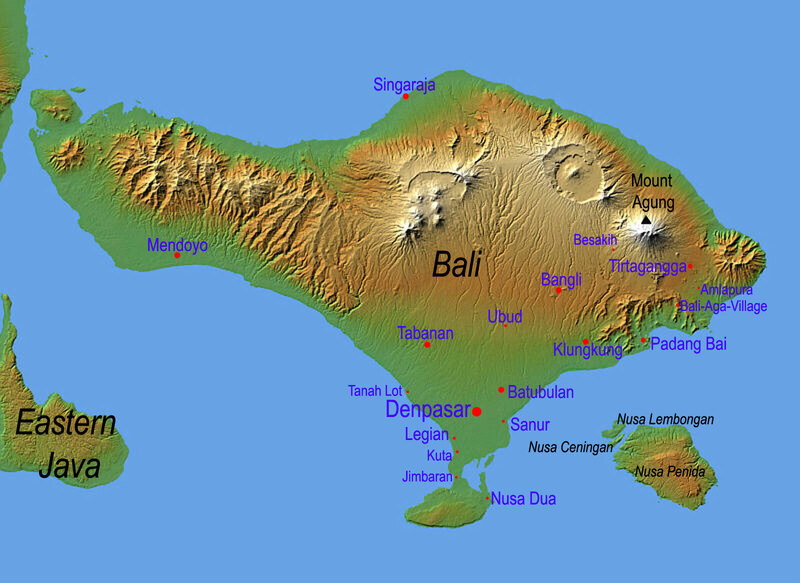 Though Indonesia is the world’s largest Muslim country, the 3.8 million population of Bali practices Balinese Hindu. 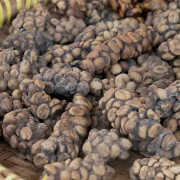 When we arrived, we had to walk through a temple at the airport and could immediately tell Bali had a special spirituality to it. We arrived during the full moon. The power of the moon were quite powerful and special as it created some of the most lucid dreams I have ever experienced in my life. It is simple to remember the names of people we met since the males are named after their birth order. We met a lot of Wayan (first born, pronounced why-anh) and Made (second, pronounced mah-day), but Nyoman (third, pronounced just as it’s read) and Ketut (fourth, pronounced keh-tut) were a bit more scarce. The fifth child’s name would start over at Wayan. But not everyone goes by their birth-order name because it would be confusing because you would start to be unsure of which Wayan would be referred to. Usually nicknames are given to them from friends or selected themselves. Rama was a special case. He was our extremely informative and chatty tour guide we met at the Kecak Dance at the Desa Pakraman Taman Kaja community near central Ubud. Arriving during the high travel season, the island seemed to be overrun with tourists as 40% of Indonesia’s foreign tourists go to Bali. At times we just wanted to lay low and have some peace, so we spent our time in a couple different areas of Bali that offered us a little of everything. 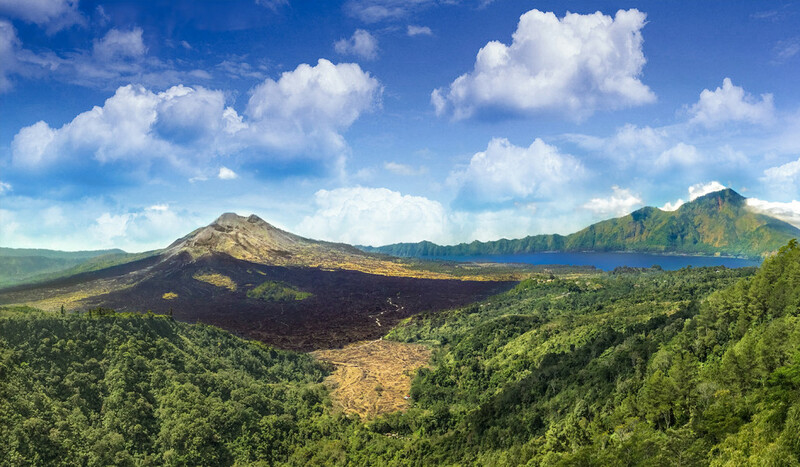 Here you can hike volcanoes, drink the second most expensive coffee in the world (Kopi Luwak or coffee made from cat poop), see traditional Balinese dances, visit some of Bali’s most spiritual temples, and enjoy amazing sunsets. 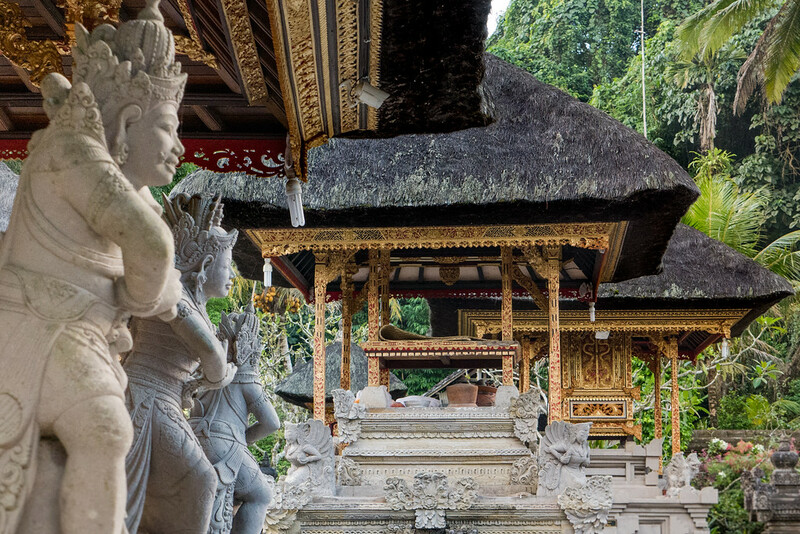 Ubud is located in the mountains of Bali, making it a little cooler than Kuta or Seminyak. 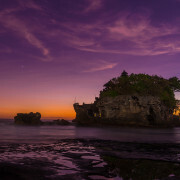 It is a good location for starting many adventures on the island or experiencing the traditional side of Bali. 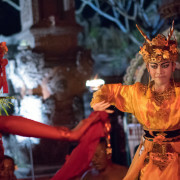 Many of the traditional dances on Bali are performed in or around Ubud. During our stay, we saw the Kecak Dance and Barong dance. Needing a little pampering we took full advantage of the spas to work out the stress we had built up in our bodies. As you wander around you may stumble across various celebrations, there seemed to be a reason to celebrate everything. While driving around, we were able to see a couple of wedding processions. Giving offerings to the Gods is very important so noticed them in front of every store, and placed all over the hotel we stayed at, Y Resort. Our first stop was the tourist information center for the latest schedule of dances. Across from the center is the market where you can wander for souvenirs and art. Since we didn’t have a motorbike, we decided to hire a driver for a tour of the sites near Ubud – watch a Barong dance, view Mount Batur and lake while feasting on a lunch buffet, woodcarving center, Tirta Empul water temple, and rice terraces. Learning to cook Indonesian cuisine at the Paon Cooking Class was one of our favorite activities. From walking in Sacred Monkey Forest to learning to cook, we learned there are plenty of things to do in Ubud. For some peace and quiet, we spent some time in Kerokaban. Staying at Pandawa All Suites Hotel gave us some time to reflect and re-energize. The resort was located a bit far from the main attractions in the area so we just advantage of it and rested. 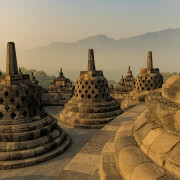 If you are seeking to get away from what can seem like the hectic pace of Bali then this is a good place to stop and rest. Needing to feel the ocean on our bodies we made our way to Double Six Beach, staying at the Hotel Horison. Located just a short walk down the street from the beach, with their own cabana section, we spend a day playing in the surf. When night comes, the restaurants on the beach are great for sitting down, having a drink and enjoying live music. Being out of the mountains and getting the rest we direly needed, it was time to visit temples. 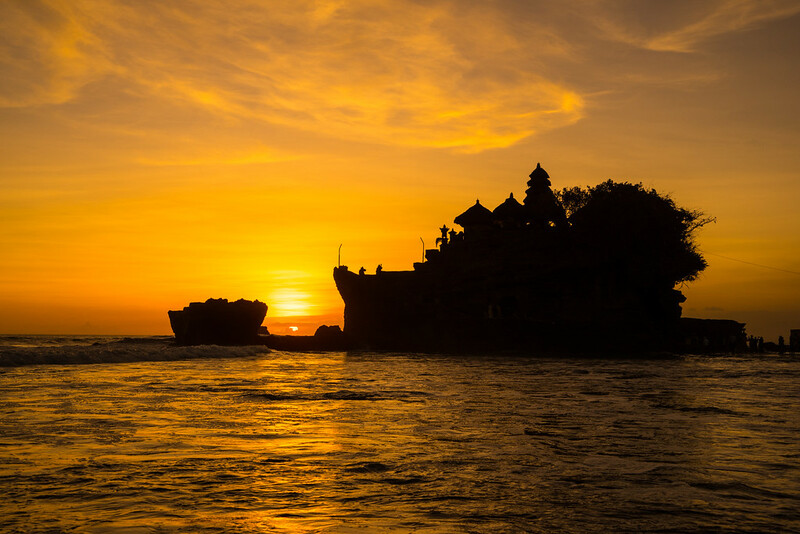 Two of the most famous temples on Bali, Tanah Lot and Uluwatu are great places to visit during the sunset. 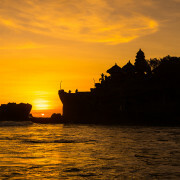 Tanah Lot, known for it sunsets, is one of the most popular temples on Bali. It is built on a rock and can only be visited on foot during low tide. Taking advantage of the low tide, we ventured out in the ocean for sunset photos. The other famous temple on Bali is Uluwatu Temple. 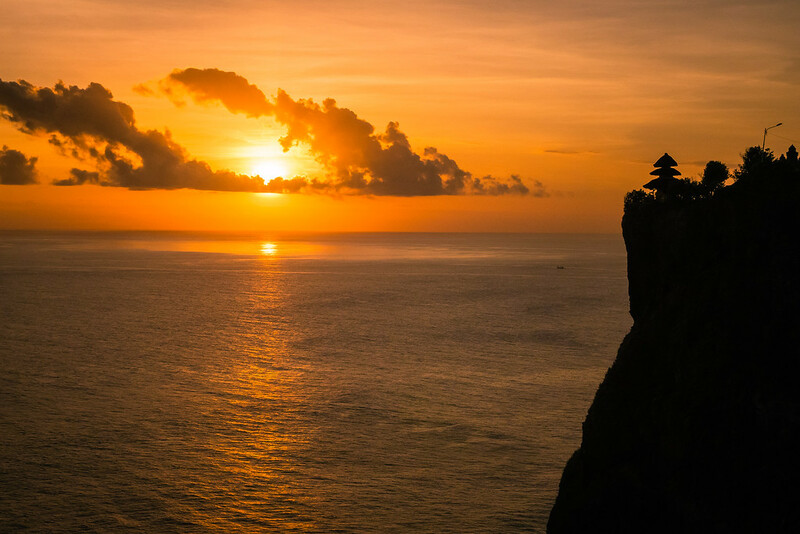 Located on a cliff, it provides great views of the ocean and there is a daily performance of the Kecak Dance. It was hard for us to sit still and wait for the Kecak dance to start with such a pretty sunset, but we managed. Watching the sun turns the sky beautiful pastel colors were amazing at both these temples. When we arrived we were only granted a 30-day visa on arrival so we went to Highway Bali Consulting Services to start our paperwork for extending our visa another 30 days. The process should only suppose to take 5-7 days, but in our case it took longer. After filling out the paperwork, we handed over our passports and were told we should get a call for when we would need to go to the immigration office for fingerprinting and getting our photo taken, in about 3 days. Since we would need to go to the Kuta area we decide to head down to Seminyak to enjoy the beach and finish our visa extension, then head back to Ubud for some more exploration. Instead of 5-7 days it took us 14 days to actually get our visa extension. The most annoying part of the experience was when we went to the immigration office at our scheduled appointment time the first time, we were told we had to come back in two days because their computers crashed. If you are planning on extending your visa in Bali give yourself extra time.